With the arrival of every new console comes a race for hackers to crack their way through the new toy's security, and the PS3, after just over six months, has finally been defeated. An exploit has been found in versions 1.10 and 1.11 of the PS3 firmware which has allowed one cunning hacker to boot up copied versions of PS3 games. Up to this point, just about every gaming console--from the Xbox 360 to the Nintendo DS--has been hacked in some way, usually to allow it to play pirated games. 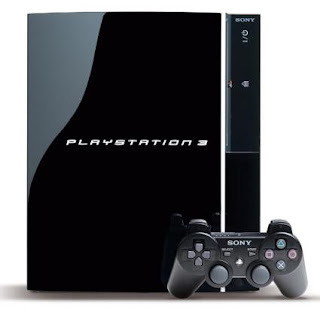 This excluded the PlayStation 3, which remained unhacked for over three years, leading many to believe that it is virtually impossible to hack. “It’s supposed to be unhackable, but nothing is unhackable,” Hotz told the BBC. Hotz admitted that while he had not managed to hack the entire system, he was able to “trick” the console into doing whatever he wanted by using a hardware exploit. The hack could potentially allow the PS3 to play older PS2 games, and could also allow people to play pirated games or run homebrew software. However, Hotz has officially stated that he created the hack for research purposes only, and that he in fact does not condone piracy at all. Hotz has not released the full details of the hack/exploit, but says that he will eventually, just as he did with the iPhone, and he continues to work on the hack as we speak. “I have hacked the PS3. The rest is just software. And reversing. I have a lot of reversing ahead of me,” writes Hotz on the personal blog that he uses to record his progress. At the time of this writing, Hotz is currently able to read and write to the PS3's memory, and is discovering the function (coding) names used the system’s software. Five weeks and--eight blog posts--later, geohot has been able to get farther than anyone has in the past three years. Whether you’re a gamer, fellow hacker, or game company, you can either love or hate the guy, but you will have admit it: he’s good.